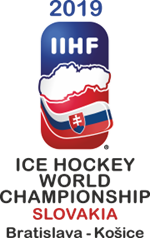 Great Britain’s international teams know the venues for next year’s World Championship tournaments following voting at the IIHF annual Congress this morning. Ice Hockey UK won the bids to host two tournaments in the UK, successfully winning the right to host the Women’s and U18 Women’s championships. The Women’s World Championship Division II Group A will take place at Dumfries Ice Bowl from 2nd to 8th April 2019. Following no relegation in the women’s structure last season, as part of the process to enlarge the top flight to 10 teams, GB will host Australia, DPR Korea, Mexico and Slovenia, along with Spain who were promoted from Division II Group B. Great Britain U20s will travel to Estonia for the World Championship Division II Group A tournament from 13th to 19th January 2019. GB will once again come up against Korea, Estonia and Romania, while they will be joined by relegated Lithuania and promoted Spain. Great Britain Under-18s will make the trip to Hungary for the Division I Group B championship from 14th to 20th April 2019 following their promotion last season. The GB juniors will come up against Austria, Japan, Hungary and Italy, as well as Slovenia who were relegated from their second tier last season. Dumfries Ice Bowl will also be the venue for the Under-18 Women’s World Championship Division I Group B, with the tournament running from 6th to 12th January 2019. GB will be joined by France, Poland and China, along with promoted Netherlands and relegated Norway. All tournament dates are subject to official confirmation. The venue, group and date for Great Britain Men in the top flight of the World Championship structure in Slovakia next year will be confirmed soon.